There's a lot to be excited about when it comes to US Soccer. 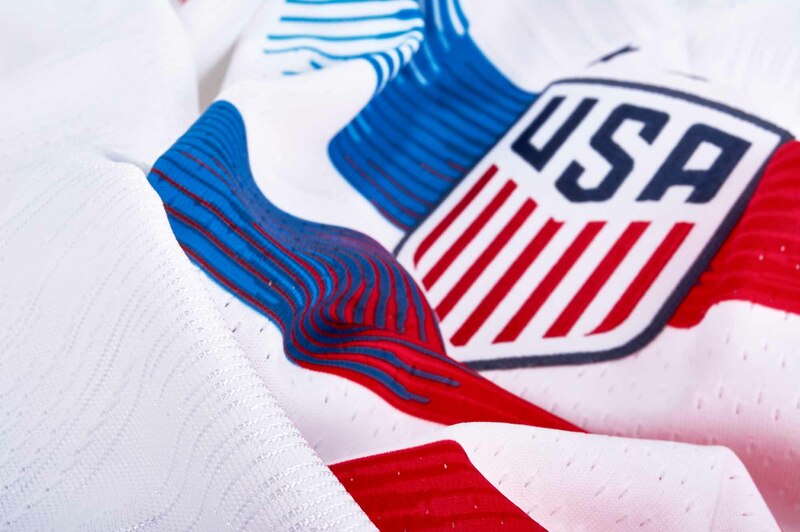 The men's team is continuing to improve, but the Women's national team is already dominant! Still flying high after a victory in the 2015 World Cup, the USWNT is the only team to ever witn three Women's World Cup titles! 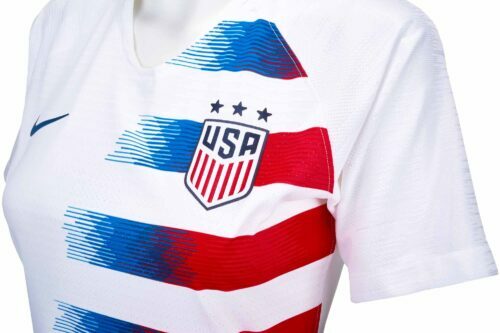 Led by the likes of Carly Lloyd, Tobin Heath, and Alex Morgan, they're setting up for another World Cup Qualifying summer! 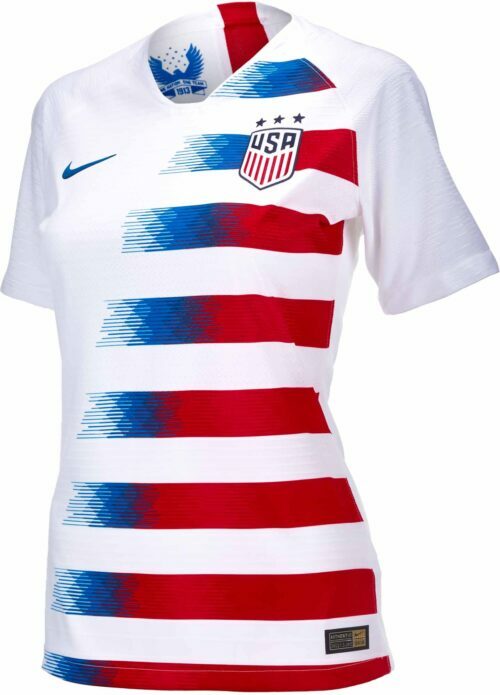 Ladies, its time to lend them your support, with the Women's Nike USA Home Match Jersey!In terms of the USWNT, to play like a girl means to be the absolute best! 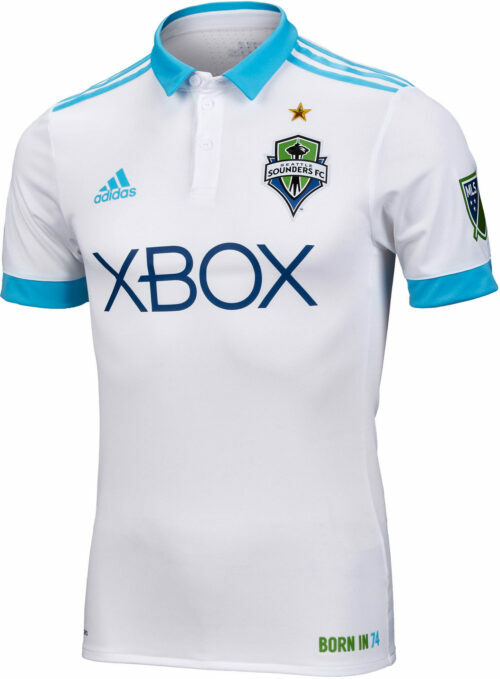 This jersey is also the best! 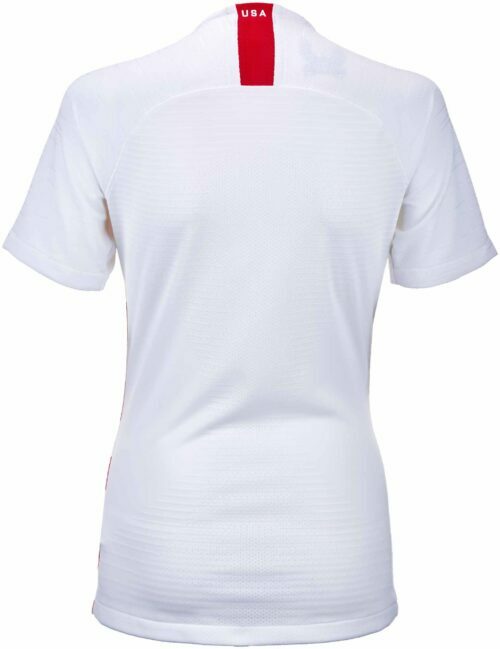 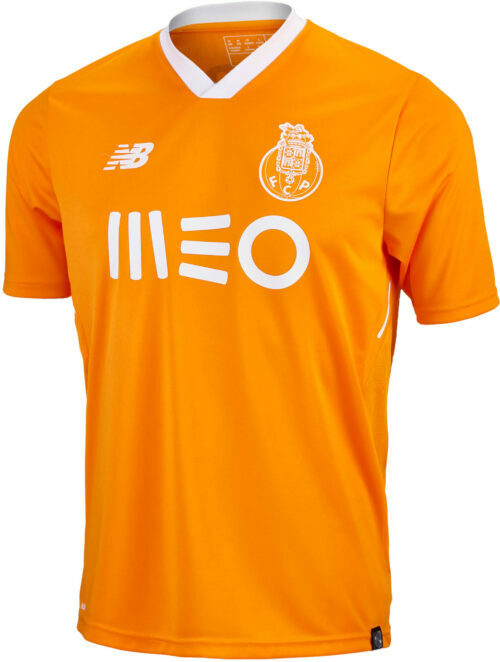 Made with Nike Vapor material, its the exact same jerseys the USWNT will be sporting on the field! Its stretchy and flexible, and it wicks away moisture, keeping the wearer cool and dry! 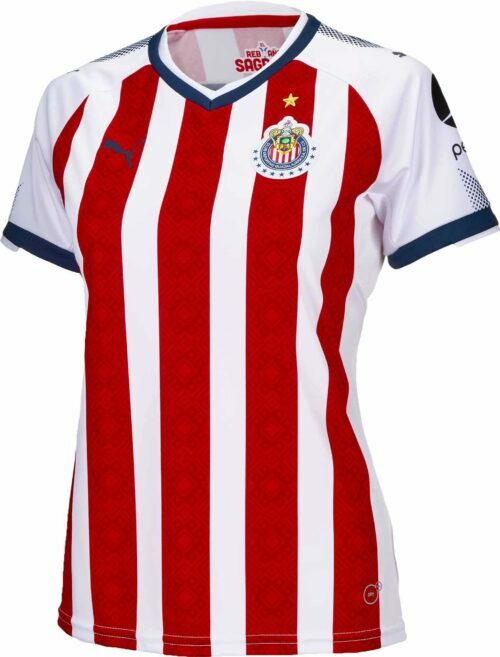 It looks sharp too, with the Red and Blue stripes standing out against the White jersey! 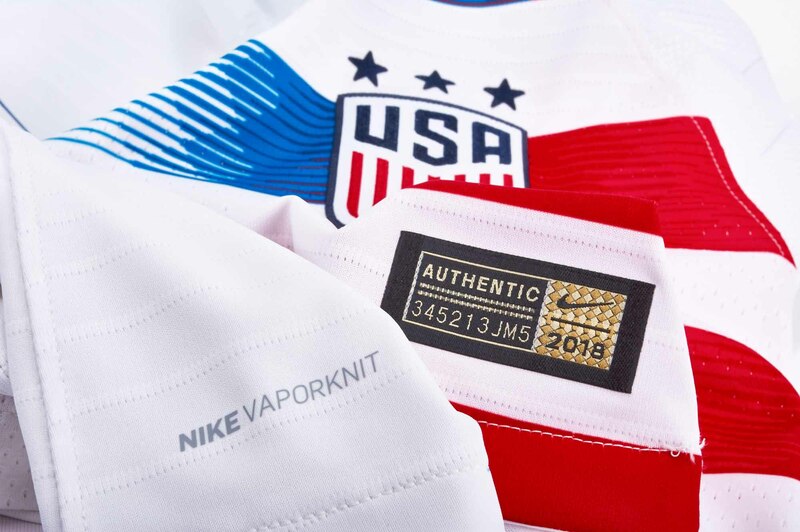 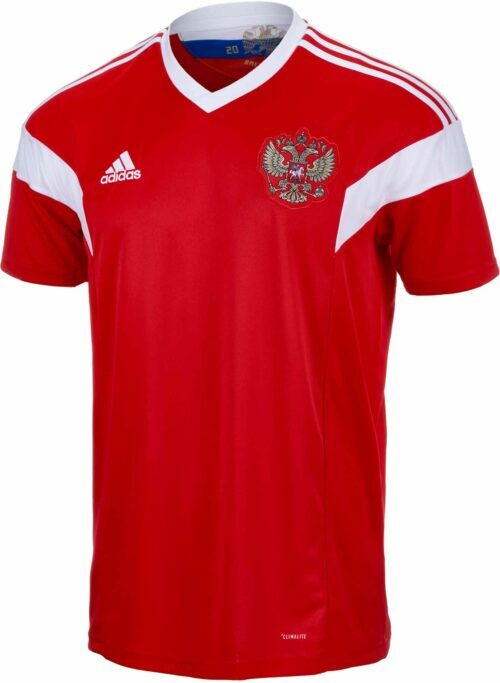 Pretty soon, we'll be watching the squad tune up in these kits while they prepare to defend their World Cup title! 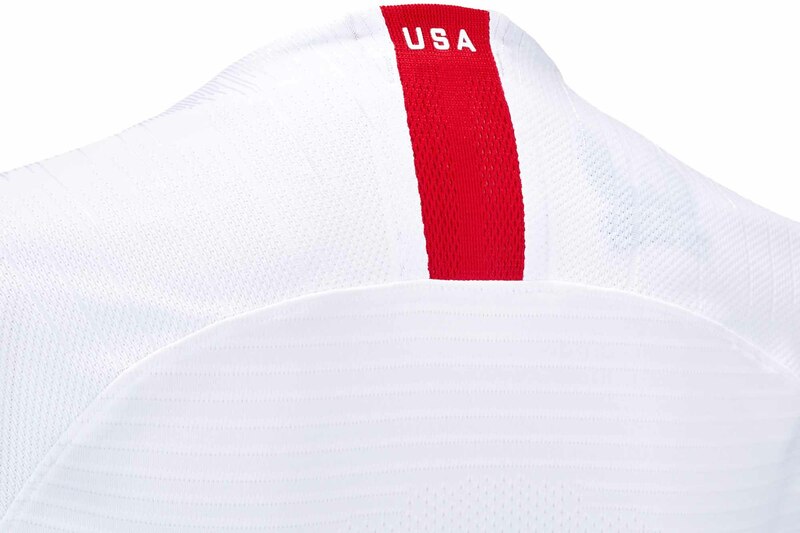 Be ready for that moment, and order your Women's USA Jersey today!